SJ & Associates has been evaluating and treating children with developmental delays, in Orange County, since 1995. We are very pleased to announce that we are now also also working with families in Rockland County. Our office is conveniently located in Stony Point and our providers work throughout the county. 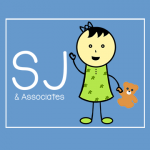 Our staff is comprised of licensed and certified professionals with a wealth of experience in serving children with a variety of special needs. We are qualified New York State and Department of Health Early Intervention providers. We also work with school districts to provide evaluations and services to preschool age children.